The real reason you're here. With Lake Michigan at our West and Lake Macatawa at our center, Holland is a true waterfront community. The area is home to two amazing beaches and lots of lakeside attractions, from five miles of boardwalk to fantastic lakeshore restaurants. Holland State Park is best known for white sand beaches, beautiful sunsets and views of the iconic "Big Red" lighthouse. 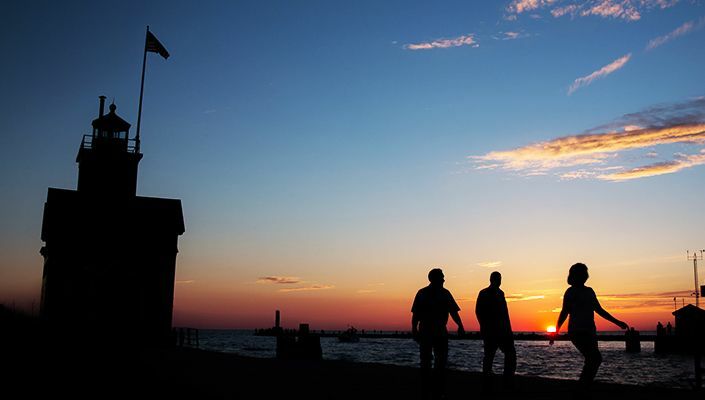 The park is home to two popular beaches located on Lake Michigan and Lake Macatawa, two modern campgrounds, concessions, paddle rentals, a new playground and connections to Holland's system of non-motorized trails. A boat launch is located one mile east of the park with a fish cleaning station. The park was acquired from the City of Holland in December 1926 and has been a popular destination since that time. Holland’s Tunnel Park is a 22-acre gem of natural beauty. 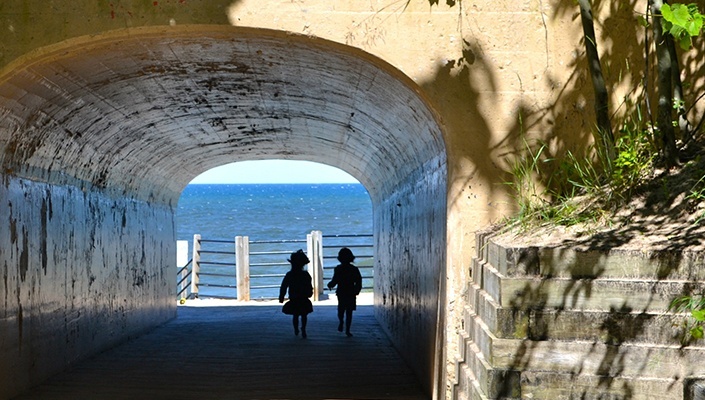 With its extensive Lake Michigan beachfront, Tunnel Park is a great place for swimming, sunbathing, picnicking and just hanging out. In addition to eponymous tunnel through a sand dune, the park has a children's playground complete with a dune climb and a dune stairway, picnic areas, two picnic shelters (contact county to reserve), four sand volleyball courts, modern restrooms and seasonal concession stands with vending machines.